The drive from Franz Josef to Wanaka was to take us through the Haast Pass, the most southerly of the three passes through the Southern Alps, we were all set for a journey of steep climbs, hair pin bends and stunning scenery. The first surprise came when we programmed the address of our next B&B in to the sat nav, the journey details popped up as usual, “distance to destination 287km. Directions, in 283km turn right”, no chance to get lost then!! We set off and headed down the coast to Haast village (last petrol for 80km) and then the road turned in towards the mountains. We have got used to very good quality roads in NZ, even in quite remote areas, sure enough the road out of Haast was a great road, two lanes, good surface and started off at a gentle but steady climb. We climbed, and climbed, following the course of a river valley with wide sweeping bends – any time now the real climb will start we thought, but no, that was it all the way!! It was an easy journey and a good road right through the mountains, we were really surprised. After three and a half hours we arrived in the pretty lakeside town of Wanaka. Wanaka is a tourist centre and is a popular spot for walking, sailing and scenic flights over Mount Aspiring National Park (great name). We dropped into the tourist information office to have a look at the walking options available for the next day, and picked up the Official Visitors Guide and Map; we noticed a circular walk from town over the headland and back along the lakeshore, that would suit us. We found the Wanaka Springs B&B, met our hosts Fraser and Anne, and checked into a pretty room with a patio and a view over the garden and a little stream. When we asked for a restaurant recommendation we were advised to try WGK (Wanaka Gourmet Kitchen) on the lake shore, we had noticed it earlier but dismissed it because it looked expensive however Fraser particularly recommended their slow cooked whole shoulder of lamb and assured us it would be more than enough for two people. Tempted by the prospect of local lamb we booked a table for later. Frasers recommendation was spot on, the lamb was delicious and came with roasted root vegetables, stir fried cabbage with bacon, mint jelly and gravy, on the suggestion of the waiter we added a side order of broccoli with almonds. It was all delicious, especially when washed down with a glass of local pinot noir. We were so impressed, and very tempted by other things on the menu that we booked a table for the next night too! Next morning we walked in to town and went back to the tourist office to see if there was a proper map of the local walking tracks, we were assured that the map we had was the best one and that all the tracks were well signposted, we set off… 100m from the tourist office we found ourselves struggling to find the start of the track, a kindly local pointed down the back of a row of shops to a flight of steps (going up of course!) and off we went. From there on the map bore no resemblance to the route of the path, and, there were no signs, terrific! There were a couple of places where the track crossed over roads but as road signs are only placed at junctions there was no way to know which road we were crossing. Undeterred, and keeping the lake in site we followed the route as best we could, the forest appeared on our left when it should have been on our right, the foot path turned into a mountain bike track (we walked around the jumps) and finally we got to the top of the headland and found there was no way down to the lakeside footpath. We doubled back and found another path which led down through a very fancy residential area and eventually found the lakeside path, hurrah. From there it was about an hour’s walk back to town; along the path we saw drifts of wild lupins just coming into flower. The whole adventure took three and a half hours – a good walk! We picked up a snack lunch at the supermarket in town and headed back to the B&B, we were the only guests that night and Fraser and Anne had told us they would be out all day so we had the whole place to ourselves. After a sit down on our patio and a bite to eat we decided to use the hot tub which sat under a gazebo at the top of the garden; it was the perfect response to our walk in the morning and it was lovely sitting in warm bubbling water staring out to the snow-capped mountains beyond. Sorry to go on and on about restaurants but WGK was so good it is worth noting. On our return visit we decided to try the stone cooked steak; we ordered the 400g steak to share. The waitress brought the meat to the table raw but sitting on a stone that had been heated to 400⁰, we just had to carve of a slice at a time and sear it on the stone until it was cooked to taste. The meat, from a local farm, was fantastic and even cooked like that it was moist and tender, delicious. It was a nice sociable way to eat and made a change. 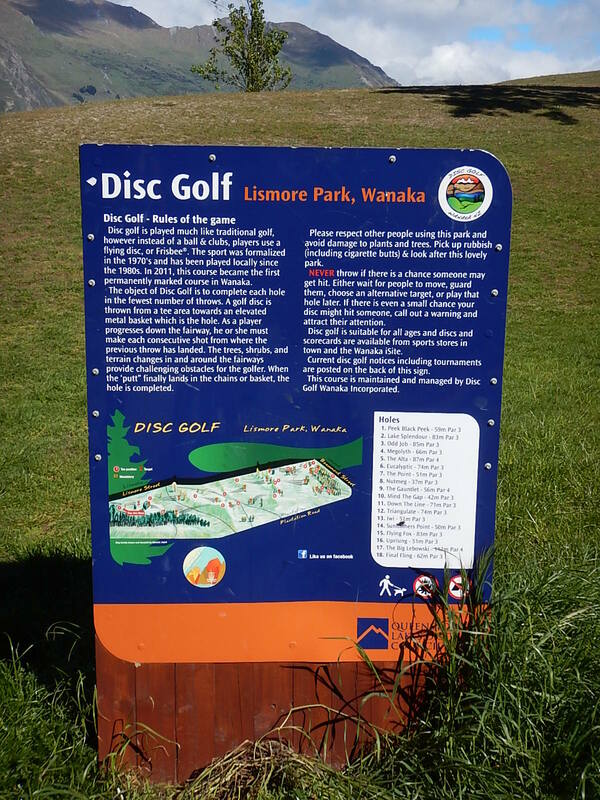 We liked Wanaka, it had a nice atmosphere and a great location on the lake, however once the summer season gets underway it will get very busy, it was good to see it in spring before the crowds descend.